We're going to experience a long and chaotic traffic for at least 9 months so brace yourself! Drive safe. I heard they're setting up speed traps already along the dual carriageway. 80km/hr limit that one. My sister, Shely, and my mom had their birthdays last week and since their birthdays are so close together we decided to celebrate them together with catered food and my mom's favourite butter cream cake. As an extension to mom's birthday, we went out for sushi last Sunday, which is quickly turning into a weekly tradition. Why? Because we enjoy good food, that's why. My two siblings looking for good games to play. Pirated ones, of course, knowing us locals. It's ironic how this shop gives warning signs about stealing when they themselves sell pirated DVDs, which is technically theft by itself. But you heard the manager, never ever attempt to stoled! Afterwards, we went to SL P7 to do some random shopping. By random, I mean food tray with cover, mini portable mattress, foldable mini chair and window glass wiper. Well, that's how my mom shop. French Open is starting soon! I wish I can stay up late and watch the match on TV but alas, my work doesn't allow me to do that. What a bummer. 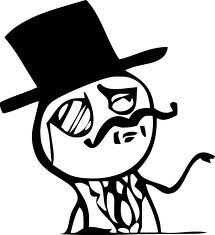 Want to eat boiled egg like a sir?